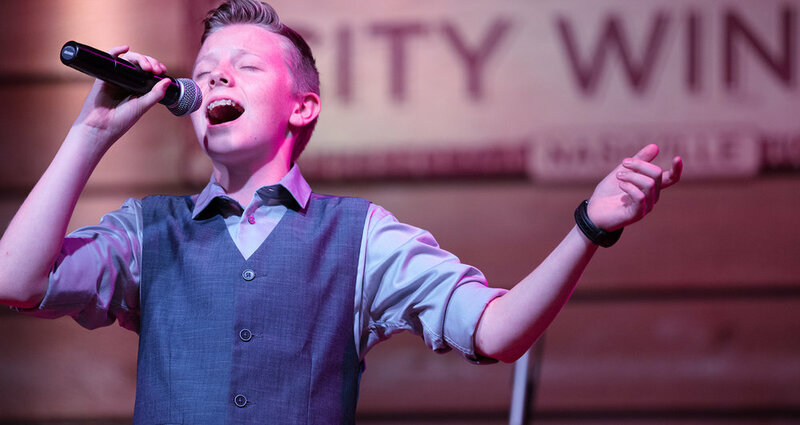 As a vocalist at the Annie Moses Summer Music Festival, you'll be immersed in a variety of styles and configurations, from pop solos to Broadway numbers to country songs to classical choral music. Our voice faculty range from classical voice specialists to professional pop performers. All vocalists participate in two shows and are cast in featured moments arranged with their vocal strengths in mind. Best of all, you'll gain real-world experience as you perform with other passionate players in high-energy shows in some of Nashville's best venues! The Annie Moses Summer Music Festival features everything from Jazz standards to Pop ballads to Country music to Rock songs. Whether you’re a smoky-alto or a high soprano, a classical tenor or a growling bass, we tailor musical moments that fit your natural ability. Our team of professional pedagogues will instruct you in the nuances of vocal technique as well as commercial performance. We want to unleash your distinctive voice. Get ready to sing a lot! Whether it’s choir, ensembles, or solos and duets, you’ll be singing in multiple roles giving you a broad musical experience. Communicating with your audience is more than just hitting the right notes. It’s delivering a message, relating to your fellow performers, and being a relaxed and professional performer. Our coaches work overtime to form you into a consummate artist capable of carrying yourself confidently and commanding the stage. Singing in harmony is an invaluable tool for any vocalist. If you want to have a good time at the Festival, spend some time before applying learning how to sing harmonies well. You’ll have a wider variety of musical experience, will gain the ability to have even deeper collaborations with fellow students, and have a richer experience. The Festival is not for the faint of heart - we have multiple shows to prepare! Each student is "cast" in at least two performances! It's mere days to get several shows prepped, polished and performed! Karen Sorrells is a graduate of UNC-Chapel Hill with a B.A. in Music. She went on to earn her MA in Church Music at Southern Baptist Theological Seminary. Mrs. Sorrell's choirs have won many awards at the state and local levels. She is a member of the Choristers Guild, the American Guild of English Handbell Ringers (AGEHR), and the Organization of American Kodaly Educators (OAKE). Mrs. Sorrell currently serves as Associate Minister of Music at First Baptist Church of Asheville where she recently founded a Fine Arts Academy. Mary Maples received her Bachelors of Music and Masters of Music from Belmont University. She currently teaches and is the Director of Fine Arts at The Covenant School in Nashville, TN. She performs regularly as a pop vocalist.